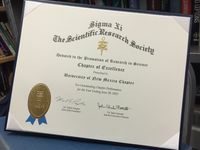 The University of New Mexico Chapter of Sigma Xi, The Scientific Research Society, has received the “Chapter of Excellence” award at the international honor society’s annual meeting in Kansas City, Mo. 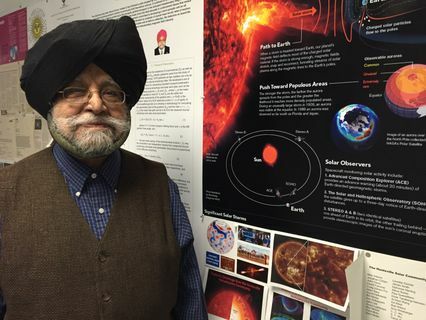 UNM Physics & Astronomy Professor Emeritus Harjit Ahluwalia accepted the award on behalf of the chapter. The recognition identifies the chapter with the best overall program of activities during a year. In 2014-2015 the UNM Chapter organized nine public talks from eminent scientists, recognized Central New Mexico Regional Science Fair winners, and presented awards to outstanding graduate, undergraduate students, technical support persons, and high school science and math teachers. The awards are presented at the Annual Banquet of the Chapter on Monday following the UNM Commencement. 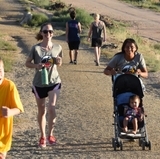 The UNM Chapter of Sigma Xi has existed on campus since the 1950s, according to Ahluwalia. 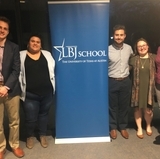 In conjunction with the Institute of Electrical and Electronics Engineers, the organization holds a monthly lecture series during the fall and spring semesters called the Science and Society Distinguished Public Lecture Series. Organizers bring in renowned speakers from across the country to talk about exciting developments in science, math, and engineering. 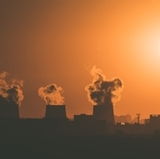 On the international level, Sigma Xi has nearly 60,000 members in over 500 chapters across the globe. Founded in 1886, it’s one of the oldest and largest scientific organizations in the world, maintaining a distinguished history of service to science and society for more than a century. The organization also has more than 200 Nobel Prize winners in its ranks, members who were initiated into Sigma Xi while still graduate students. About 200 scientists and engineers attended Sigma Xi’s Annual Meeting and Student Research Conference. Professional members shared posters about their ongoing work and more than 80 high school, undergraduate, and graduate students presented research projects for judging. The UNM Chapter of Sigma Xi was recognized for its outstanding contributions during this conference. “The chapter members look forward to the coming year with great excitement and resolve to maintain Sigma Xi as a positive force in the research community locally, nationally, and internationally,” said Ahluwalia.